It appears that we have forgotten the nature and definition of Sabbath, though it is a pattern written by God into the very core of our beings. 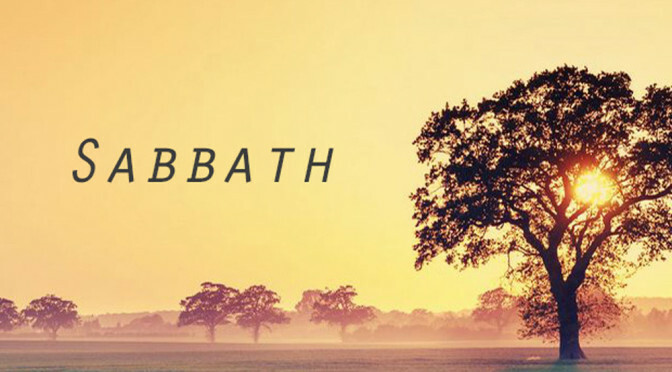 While Sabbath can refer to a single day, as in the Jewish tradition, it can also serve as a larger metaphor for cultivating the qualities, customs, and practices of Sabbath keeping found in the wholistic definition of Sabbath. The metaphor of a diamond captures two key points I wish to make about Sabbath. First, like a diamond, Sabbath truly shines only when it is polished regularly. To fully experience the benefits of Sabbath, it must be practiced regularly. Certainly on the first day of the week, as for most Christians, but I also propose Sabbath can be observed as a Sabbath morning, a Sabbath afternoon, a Sabbath hour, a Sabbath walk, or even a Sabbath moment. Secondly, like a diamond Sabbath has many facets. I want to explore four of those facets, or definitions of Sabbath found in the Bible – Ceasing, Resting, Reflecting, and Delighting. So, let us explore the Sabbath, not in a legalistic sense, but in a way that is practical and accessible to everyone. I hope and pray that you will integrate some of these practices into your own lifestyle and discover your own unique pathway for observing and enjoying Sabbath. Sabbath Ceasing Examples: Cease from………. Another meaning of the Hebrew verb, Shabbat, is that of rest. Sabbath Resting examples: Rest our…………. Sabbath is not just ceasing and resting but also meditating and reflecting. Ask: Where have I seen God working? What is He teaching me? Sabbath keeping involves not only ceasing, resting and reflecting but also delighting (The word delight is found 110 times in scripture). In this brief comment Wilberforce references the great secret of his personal life: his commitment to withdraw from the demands of public life so that he could engage with God. Like Wilberforce, Sabbath keeping can become our greatest spiritual resource by creating an oasis of sacred time and a refuge for our souls within the relentless busyness of our modern lives.